View from SSE showing maltings and kilns. Not to be confused with Montrose, Lochside Distillery (NO 7150 5902), for which see NO75NW 49. For (associated) mill lead (NO 710 628), see NO76SW 49. (Location cited as NO 718 165). 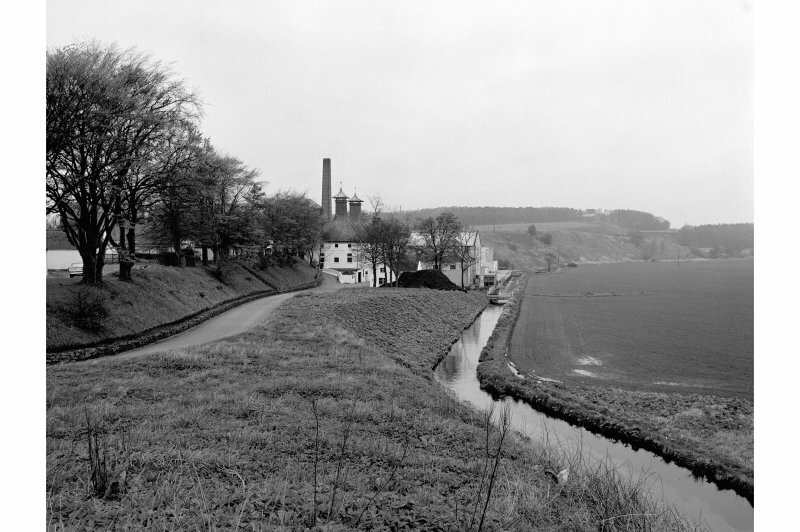 Hillside Distillery, late 19th century. Much extended in recent years, notably by addition of mechanized maltings [NO76SW 37.01]. The 2-storey and attic malt barns, with double kiln vents and single storey rubble bonded stores survive from an earlier period. This distillery was converted from a flax-spinning mill in 1897 and named Highland Esk. The distillery changed hands and closed during the First World War. 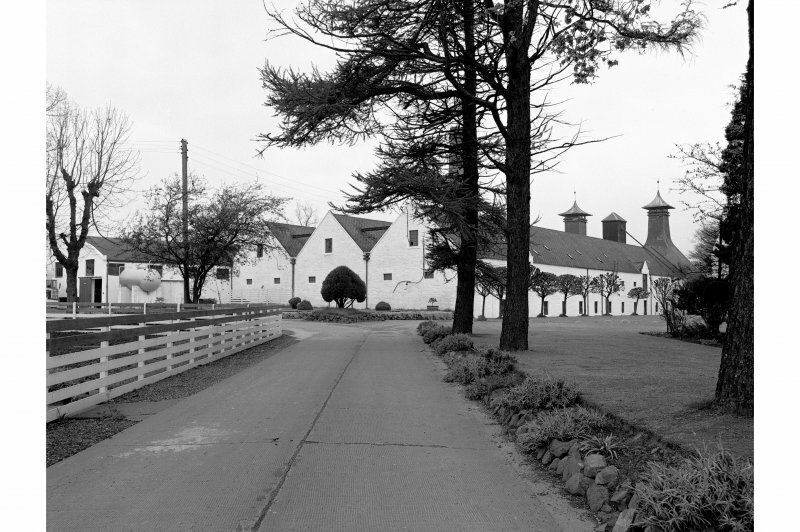 The distillery was re-equipped to produce grain whisky in 1938. Between 1954 and 1964 it worked intermittently and was converted back to a malt distillery and named Hillside in 1964. It has four stills and was renamed Glenesk in 1980. M S Moss and J R Hume 1981. This malt distillery is closed and partly roofless. The flax mill, and an adjacent corn mill, together with the mill lead are depicted on the Ist edition of the OS 6-inch map (Forfarshire, 1865, sheet XXVIII). Information from RCAHMS (JH), 26 February 1998. The distillery and surrounding area is visible ona RAF WW II oblique aerial photograph (No.1 CAM, 11683, flown 14 April 1943). The view is from the NW with Montrose airfield is visible in the backgraound. Hillside Distillery opened in 1897 using water rights of the now-closed Kinnaber Mill and the site of a bleachworks. It operated fitfully under a variety of names producing malt and grain whisky, but the last distillation plant was removed in 1996. However the maltings went from strength to strength. 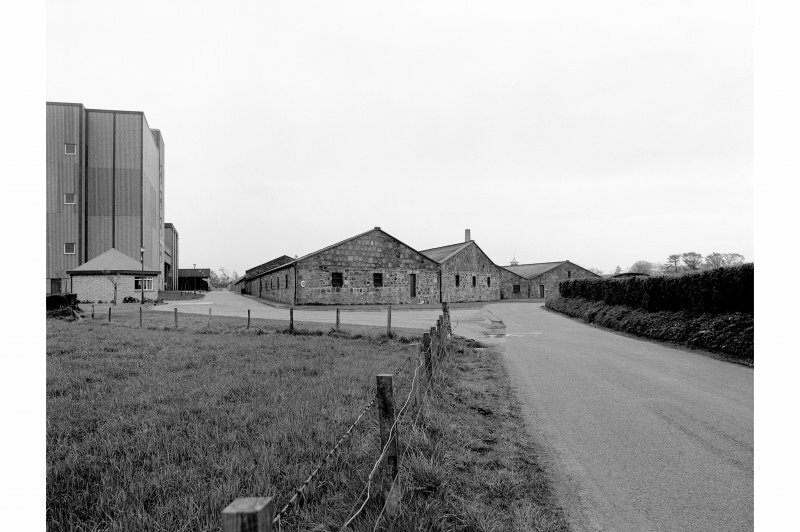 Glen Esk Maltings were enlarged in 1968 and 1973 for United Distillers, producing all of that conglomerate’s needs. The maltings were sold in 1996 to Paul’s Malts and is a landmark receiving grain and barley by road and rail. Each of 24 germination drums holds 31 tonnes of barley at a time. 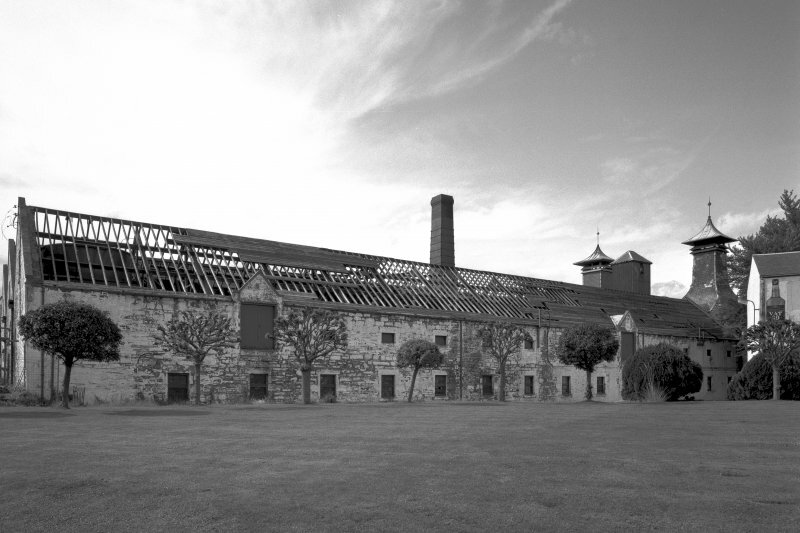 The 25 acre site retains the mill lade and stone bonded warehouses with gabled and curved roofs. Kinnaber Mill (operational c.1814/1867) was flax spinning downstream and to east of the lade, beside the corn mill that straddles the same lade emerging near AN46. At Kinnaber junction two railway systems came together - the Caledonian (LMS) and North British (LNER). In races from London in 1895 whoever got to that point could then coast into Aberdeen with the frustrated rival stuck behind.